"Getting More Out of Genetic Genealogy Research: Intermediate to Advanced DNA Analysis Techniques"
My Dad was born in Waterloo, Iowa 19 May 1913. l believe Grandma said it was morning time. Births back then were normally at home with help from family. He moved all over from the time he was small until 1948. As his feet gathered moss, he also gained more siblings and more places to have been. One Grandmother lived in Washburn, Iowa, Blackhawk County. His fathers' in Chickasaw Co. north of there. Unfortunately my days are too busy and I've not been able to keep up with this every day. So I'm switching to weekly posts. Back in Oct. I started the "clean up" in Prep. for L#8, but due to extended illness was only now able to complete the c chore. Went to run an updated list but got back my Original. The changes do show up on the families involved tho.. What did I do wrong?? Tnx for any help. I have discovered an awful lot of Pummells in the USA, but so far they do not appear to be connected to my family. If there are any of you out there who can trace back to 1800's in Hampstead Norris (Norreys) in Berkshire, England, you could be mine! Please get back to me. I have managed to go back to 1700, so far, by the way! 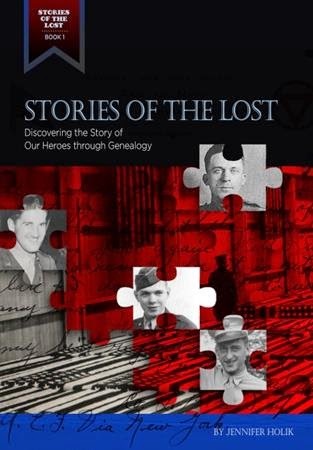 "Discovering the Stories of Our Heroes through Genealogy"